The ASME Code requires that all vessels undergo hydro (or pneumatic) testing following fabrication and before Code stamping. As this test provides mechanical stress relief it may be thought of as the final step in the fabrication process. The hydro test is an effective way to screen for design, material and fabrication deficiencies as well as to prove the structural integrity of the equipment. Is the Hydro Test Report a standard COMPRESS feature? 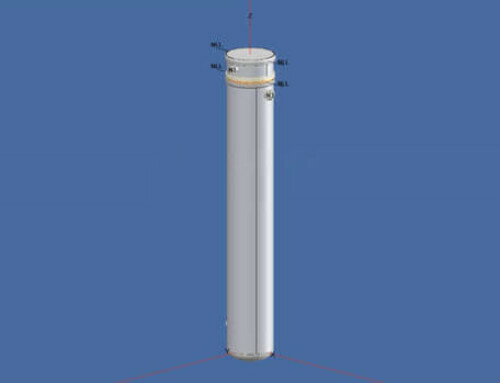 Design your vessel or exchanger. Select your test basis in Set Mode Options > Defaults > Testing. Press F3 to generate the Code calculations. Click "Hydrostatic Test" on the left to view the report. 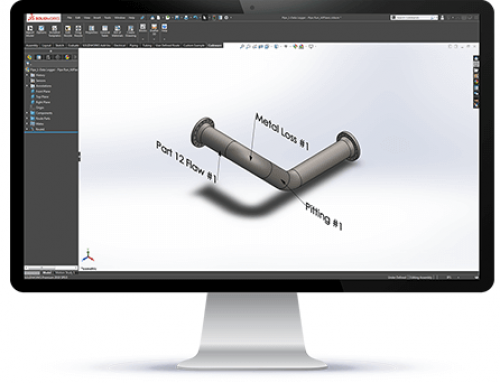 Check for overstressed components and revise your design as necessary. To speed your review, COMPRESS also includes any overstressed components in the Deficiency Report. 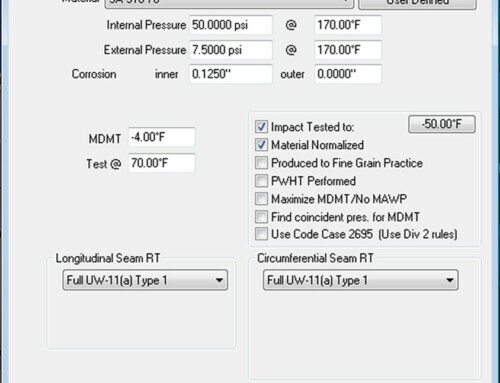 Because ASME VIII-1 does not provide guidelines for determining allowable stress values for the test condition, COMPRESS uses the following method by default. It is taken from the 2004 Edition of ASME VIII-2, paragraph AD-151.1. If needed, you can define a different percentage of yield allowed at test in the Set Mode Options > Defaults > Testing area. In the equations above, Pm is the primary membrane stress and Pb is the primary bending stress. The yield stress Sy is taken as the smallest of the shell, reinforcing pad or nozzle neck Sy values. The discontinuity stress state at a nozzle includes both primary membrane and bending components. As equation (a) governs for shells and either equation (b) or (c) governs for nozzles, the test allowable may be different for nozzles and shells even when they are made from the same material. For further information, please see the Hydro Test section in our Support Center. If you don’t have software that performs hydro test calculations, it’s time to explore the benefits of COMPRESS. Find out more by emailing sales@codeware.com or calling (941) 927-2670.